Demarai Gray struck the bar late on as England Under-21s stuttered to a goalless draw with the Netherlands at Carrow Road. The Leicester winger was England's most potent threat in a game of few clear-cut chances, with the Netherlands at times lacking the urgency of a team needing to win to have any real hope of topping their Euro 2019 qualifying group. They could have had a penalty during a first half they controlled but wasted a number of promising positions, and never tested debutant England goalkeeper Dean Henderson enough. After the break, Ryan Sessegnon fired a strong opportunity over from close range and in the final minute of injury time, substitute Tom Davies saw an effort blocked, but manager Aidy Boothroyd will be happy enough with a point which keeps England five clear at the top of group four with three games to play. 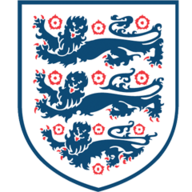 Drama at the start and end of the game bookended a match devoid of too much quality in the final third, and while England shaded the chances on the night a draw was a fair result in East Anglia. Within two minutes the hosts caught the Netherlands sleeping, with Dominic Calvert-Lewin first shooting wide and then forcing a save and a clearance off the line from Justin Bijlow. Aidy Boothroyd handed debuts to Dean Henderson, Aaron Wan-Bissaka and James Maddison. He made four changes from their win over Ukraine, also bringing in Ezri Konsa for the absent Joe Worrall. When the visitors woke up, they began to take control of the half and forward Arnaut Groeneveld exploited some poor positioning from Aaron Wan-Bissaka on a number of occasions, but was either fed a poor ball or couldn't find a man in the middle. England stepped up their performance as half-time approached, with a change in formation from a three to a four in defence looking far more comfortable, and Josh Onomah's shot on the turn and a fizzing effort from distance from Sessegnon forced Bijlow into saves. They continued to press for an opener after the break, and Ben Chilwell's quality cross from the left was begging to be turned in with 64 minutes on the clock, but was side-footed over by Sessegnon from the angle with Bijlow beaten. That was it for chances until Gray cannoned an effort off the bar with seven minutes to go, before Davies had three bites of the cherry in injury time, but after air-kicking an initial shot, he saw his second blocked in the six-yard box before blazing the follow-up over.